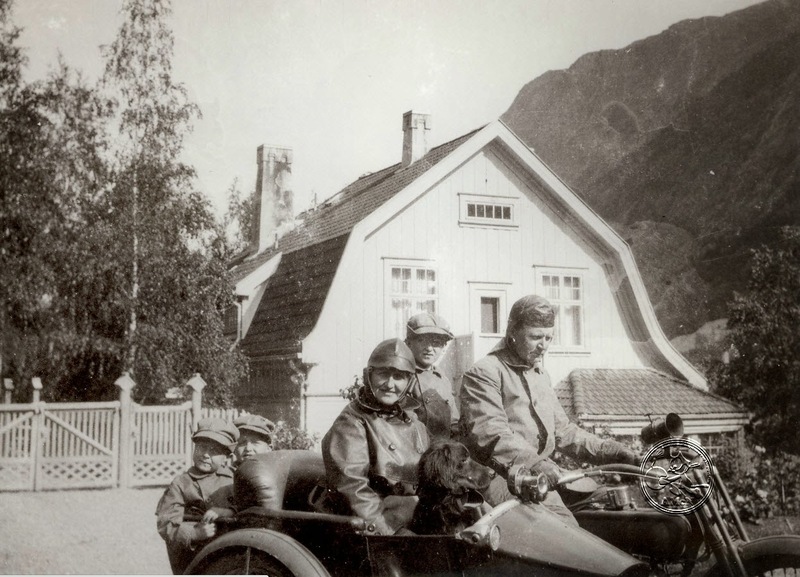 Family Idyll in Rjukan back in 1922. This is such a cute image, entire family including the dog is packed on the trusty Harley for a weekend trip. Father is in control, the oldest son on the pillow eager to catch up with how to ride the bike himself (one day), Mom resting in the comfortably cushioned sidecar seat with the family dog at her legs, the two minor siblings tucked away in the luggage compartment of the sidecar. A motorcycle ride like this, in great weather, cross the nearby mountains, stop for a rest in the sun, could life be better?